Not a day goes by without my mother’s voice in my head asking, “Are you drinking enough water?” The truth is – I have never liked the taste of plain water. I never drank more than a glass a day. My hydration came purely from coffee, juice and soda. You can imagine the state my skin was in as a teenager. I wouldn’t get pimples on my face, but when I broke out it was ugly. My back would get covered in acne and they turned into dark scars. My hair was dull and falling out by the handful. I slumped into major bouts of depression. It was only until I reached my mid 20’s that I began to understand the real benefits of being properly hydrated. While working as a Microbiologist at Al Amiri Hospital I had a Filipino colleague. This woman was in her forties, but looked no older than thirty! She never wore a drop of makeup. I remember her skin was so clear, you could practically see through it. She was always happy and energetic. One thing that never left her side was a huge bottle of water. I remember casually asking her about it, secretly and desperately wanting to know what her secret was to your youthful appearance. She said she drank two large glasses of water upon waking, and her daily water intake totaled to two and a half liters per day! I wished I could be like her. These are just some of the things that improved after drinking water. It helps to remember that our bodies are composed of 70% water and our organs need water to function. Our blood needs water to carry nutrients and oxygen to all parts of our bodies. If you have two or more of these symptoms, you should probably be drinking more water. I am bombarded daily with questions from followers about my skin care routine. I keep answering with the same sentence: Drink more water. Lotions and potions do very little for your skin on the outside, but hydrating from the inside is the key to perfect skin. To make water taste more bearable, mix it with a little bit of cranberry juice. 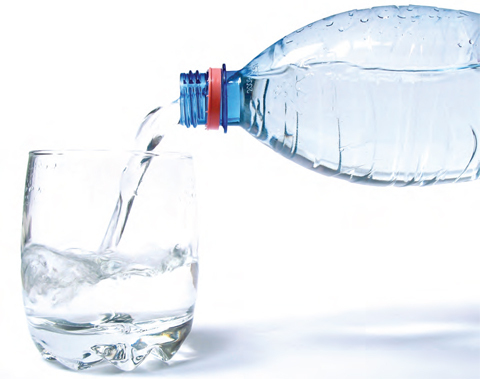 Trust me, if you want to discover the fountain of youth – consume more water on a regular basis. It’s that simple!